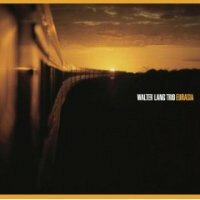 Description: Thanks to his five previous M&I releases, Walter Lang (b. 1961) from Germany is one of the most popular European jazz pianists in Japan. His latest trio recording for M&I takes us on a musical journey through the vast Eurasia continent. The road trip starts in America (the nostalgic "Last Train Home" by Pat Metheny), and before concluding with Lang's idyllic composition "Traveling Far," we visit Sweden ("Ack Vaermaland" also known as "Dear Old Stockholm"), Yugoslavia ("Nights Of Skopje" by trumpeter Dusko Goykovich), Japan ("Ringo Oiwake"), France ("Que Reste T'il De Nos Amours?" aka "I Wish You Love"), Italy ("Estate"), Spain ("Madrid After Dark"), Turkey ("Belalim") and Greece ("Omorfi Poli"). Lang is a typical European jazz pianist in that he is classically trained and has a beautiful touch and a lyrical, melodic style. He is also known as the "artist of the pianissimo," due to the fact that he can express so much without resorting to playing loudly. Aided by the young rhythm section (Swedish bassist Thomas Markusson and German drummer Sebastian Merk), Lang demonstrates these wonderful qualities, but he also shows he can really swing ("Ringo Oiwake" and "I Wish You Love") and burn with intense passion ("Madrid After Dark"). As is the case with all M&I releases, the CD's production value and sound quality is superb as well. Recommended for fans of lyrical piano jazz! Produced by Hiro Yamashita. Recorded in Nuremberg, Germany, January 28-30, 2009.